Ocean Temperatures | Watts Up With That? January 23, 2019 in Ocean Heat Content, Ocean Temperatures. December 26, 2018 in Ocean Temperatures. November 29, 2018 in Ocean Temperatures, Oceans. July 21, 2018 in Climate News, IPCC AR5 Report, Ocean Temperatures. 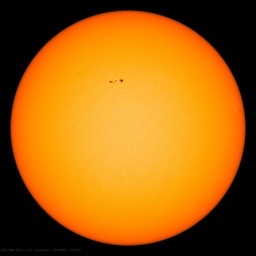 Climate Change, due to Solar Variability or Greenhouse Gases? Part A. May 2, 2018 in Climate Models, Ocean Temperatures. April 26, 2018 in ENSO, Ocean Temperatures. November 2, 2017 in Ocean Temperatures, PDO. August 20, 2017 in Climate News, Ocean Temperatures, Paleoclimatology. August 13, 2017 in Climate News, Ocean Temperatures, Paleoclimatology.